#12223, "Big Bass - In the Deep South"
Well, I thought I would check in after living here in the South for the past 9 months and give y'all an update (see it's rubbing off). On the North Shore of Lake Pontchartrain, where we live, there are a series of small rivers (bayous) that flow in to the lake. Since the land here is completely flat, these rivers are windy, like a high sierra meadow stream. They're often short, and occasionally deep as you get closer to the lake - but not always. On the upper sections it looks like swamp, with Cypress and spanish moss. As you go downriver it turns to "marsh" which means no trees, more brackish water and lots of tullies (er reeds). Everything looks textbook. Like Rodman Slough on Clear Lake or Old River up past the barrier. A few close by include the Tchefuncte, Bayou Lacombe, Bayou Liberty, Bayou Bonafuca, and the Tangiapoah (sp). I've been fishing with my son and a few friends here. In all honesty, it's some poor fishing. In Louisiana, a fish is something to be eaten. That includes bass. Jugging is common. That's where you tie a hook to an old bleach bottle and get catfish or gar. The limit on bass is 10 fish per person, and there is no minimum size. It's very common for guys to go out with a few friends and get limits of small bass and bring every one home to eat. The goal seems to be to display your limit on a fish cleaning board at the end of the day in a nice photo. What has worked for me is a black frog, cast as shallow and close to the bank as you can get it. The fish are river bass and they are aggressive as they come. Spinnerbaits work fine too. Flipping has not been great, other than the odd 5in senko fish. I ventured down to Venice last fall and fished where the Mississippi river splits in to threads that run to the gulf. It was a great adventure. We never had a bite from a bass, and may have been fishing in saltwater, but running the Mississippi past cruise ships was a life experience. I'll go back there this year again and keep looking. A few friends from work live in Houston and we've been fishing Rayburn and Toledo Bend. In the Houston Oil Man bass on Rayburn last fall we took 8th with 180 teams. West coast techniques like robo worms and keitech swimbaits were working! 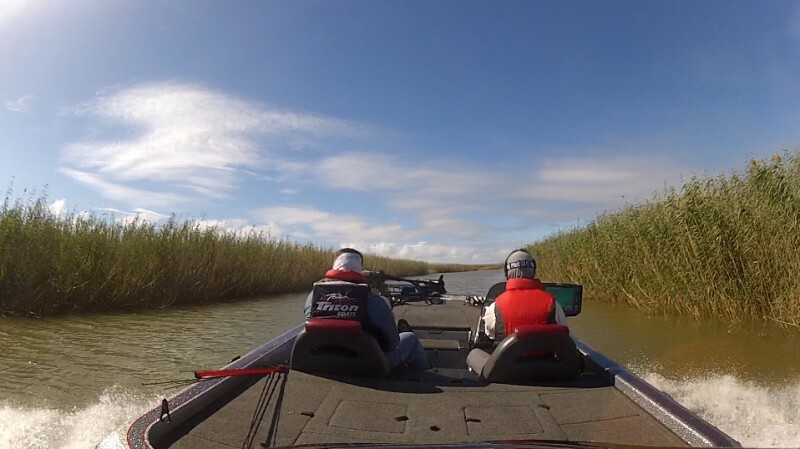 We fished a Basschamps tourney and placed 33rd, a bit out of the money. Team tourneys in Texas are insane. Huge fields and huge prizes. 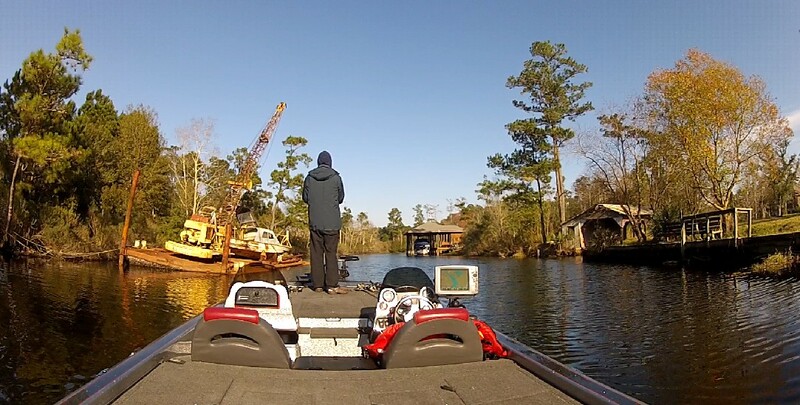 At Toledo Bend this spring we fished the TOBI. There were 419 teams. What an event! Day 1 we caught small fish. Day 2 we did OK with 15 and a half pounds. I really liked Toledo Bend and would love to spend a few more weeks exploring to learn where the bigger bass live. You can catch big numbers of bass and they are hungry. The south of Toledo Bend looks like Clear Lake. The north is an endless stump field. It's filled with bass and sac a lait (that's code for crappie). When we first moved to town here we lived on a golf course for a bit. Unlike CA, where fishing in a golf course will probably get you arrested, residents on the course are more than welcome to fish the ponds. Amusingly, this was the best fishing I've found so far in Louisiana and we caught fish to 5lbs. Watching my son Derek catch his first bass from the cast to landing it was a memorable moment for life. Here are a few photos from along the way. I haven't given up on finding a big bass. Going to keep looking and keep driving. #12224, "RE: Big Bass - In the Deep South"
OMG epic video dude! I laughed out loud when i saw that thing breach! Awesome catch Derek! If people concentrated on the important things in life there would be a shortage of fishing poles. #12227, "RE: Big Bass - In the Deep South"
Yep, Louisiana big bass are hard to catch. I should know, I have lived and fished here most of my life. There are a good number of 10 lb bass swimming in Toledo Bend and some other LA lakes....but it is nothing like Cali where a real good weekend trophy hunter can catch several a year, every year. Man, do I miss Cali bass fishing! Toledo has put out more 10 lb plus bass this year than any other year in it's history, I believe. Of course, I have fished it only twice this spring, due to family and work. 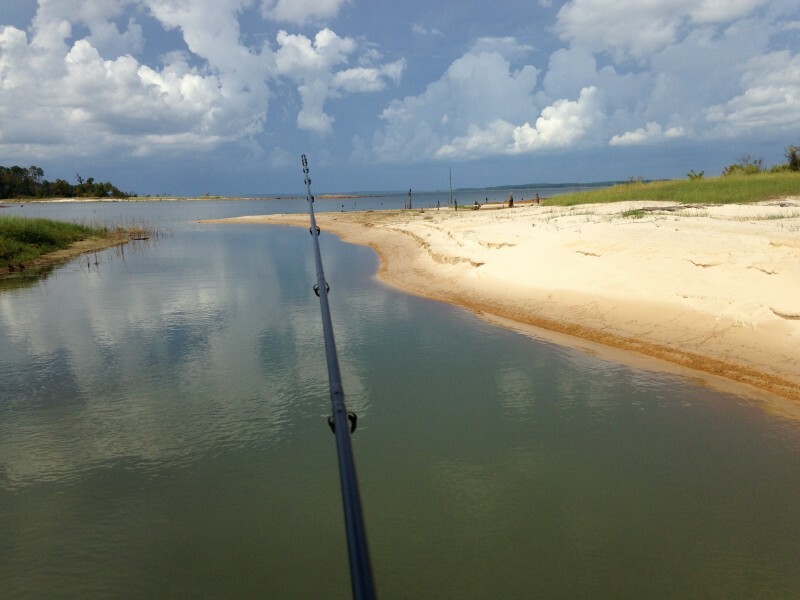 However, The Bend (as many locals call it) is notoriously tough on us big swimbait fishermen. 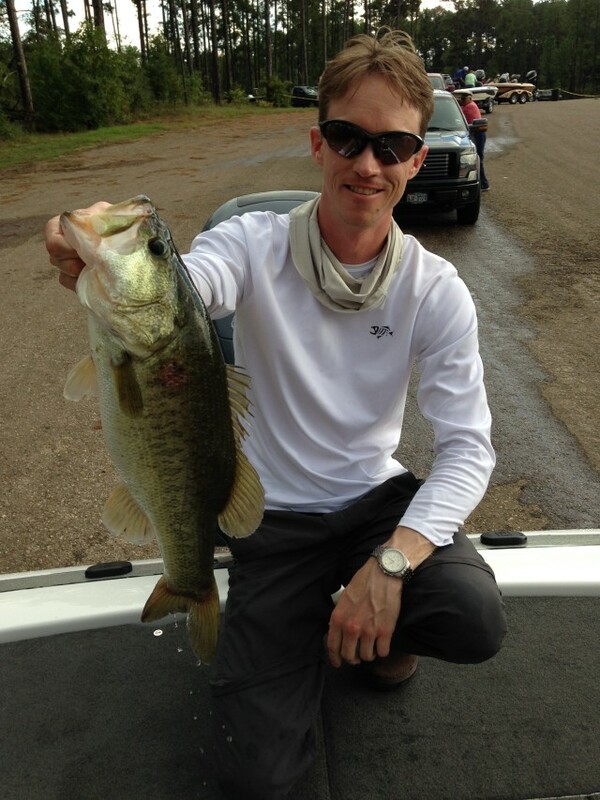 There are some other lakes in LA with big bass and better odds of catching them. Friday I had 25 lbs for 5 fish on one of them. PM me Rob and I'll hook you up. I get my big bass fix by traveling to Texas. When I moved here from Cali in about 2005 I hit the Amistad boom. That was the best swimbait fishing I ever experienced, as far as getting bit a lot. It's beauty is up there with Bacarrac. Alas, Amistad went in the tank due to low water. But Falcon boomed next and what a boom it was, probably the best fishing overall I have ever seen. Now it is down and I have turned to Lake Fork (like I did in the 90's). I caught a 23" post spawn fish there 3 weeks ago on a big swimbait. I'll make a couple of trips there each year. It is 5 1/2 hours from Lake Charles, where I live. #12228, "RE: Big Bass - In the Deep South"
Damn I was just down electroshoking the tailrace beneath toledo bend last week. I knew it was a famous bass fishery, but didnt know it was Luisiana's trophy lake, I woulda brought a swimbait rod down and given it a try. We shocked up a few decent bass, up to about 3-4lbs, and a nice striper close to 10. But I had no idea bout all the 10+ LMB! 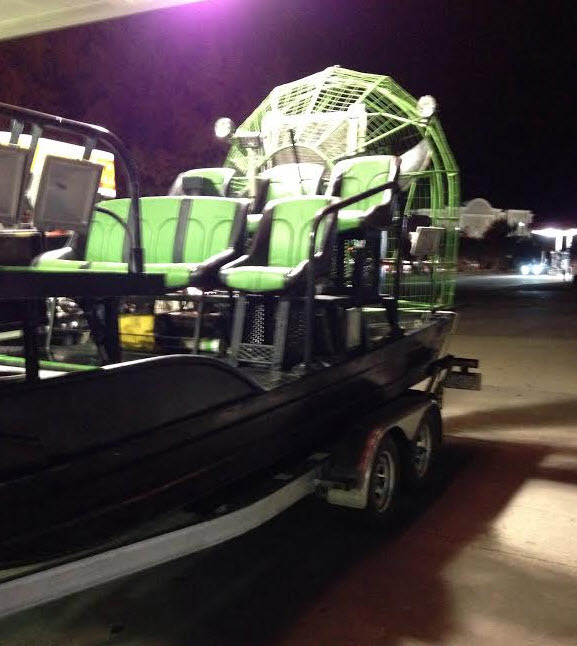 #12229, "RE: Big Bass - In the Deep South"
If all else fails sell the Champ buy a Center Console and start chasing Reds, speckeled trout, snook and when the weather lays down Yellowfin tuna, Blackfin tuna, whaoo and other salty creatures. #12230, "RE: Big Bass - In the Deep South"
Hoping this fall to make it to Texas some more for some oil man bass tournaments. Lake Fork sure looked epic this past weekend too. #12237, "RE: Big Bass - In the Deep South"
#12238, "RE: Big Bass - In the Deep South"
Thanks for the tips, I appreciate it. These places are too far for a day trip unfortunately Maybe someday on a long weekend or something. #12239, "RE: Big Bass - In the Deep South"